Recap – May 2017 : Squad – Communicate. Coordinate. Conquer. 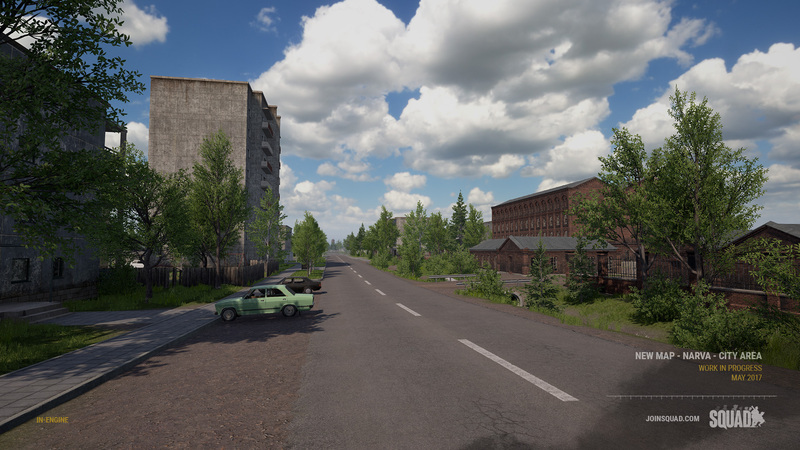 I know, I know, you might be thinking “Finally, what took so long?” Well, development has been pretty crazy recently. There is a lot of work currently being done on some critical and fundamental systems that have required a significant portion of our team to focus on them. 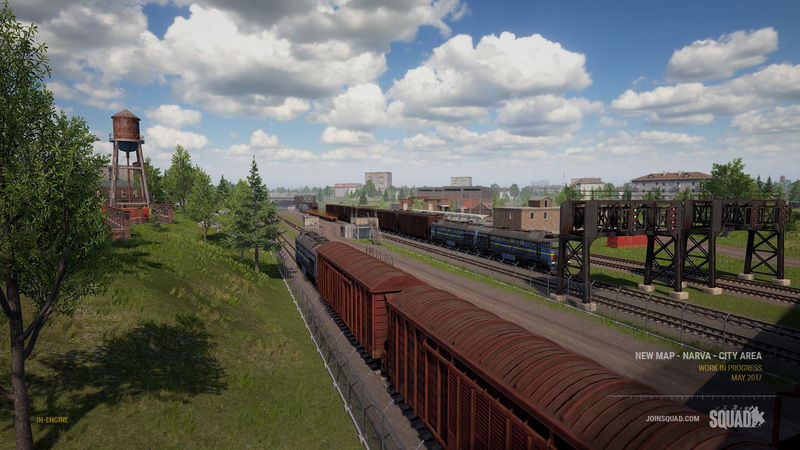 Due to the complex nature of the work currently being done, we have decided to transition to smaller content related releases while we are all waiting on v10, including videos, Dev blogs, and articles. 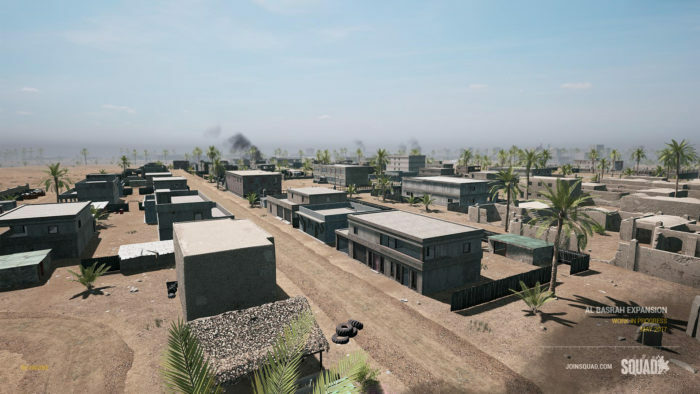 One of the first steps towards this was to release a small content patch that came with some highly anticipated systems, such as mortars and IEDs in v9.4. Alpha 9.4 proceeded an experimental event along with an article relating to some research trips the team did in preparation for the future development. Okay, so what have you been up to you might ask? 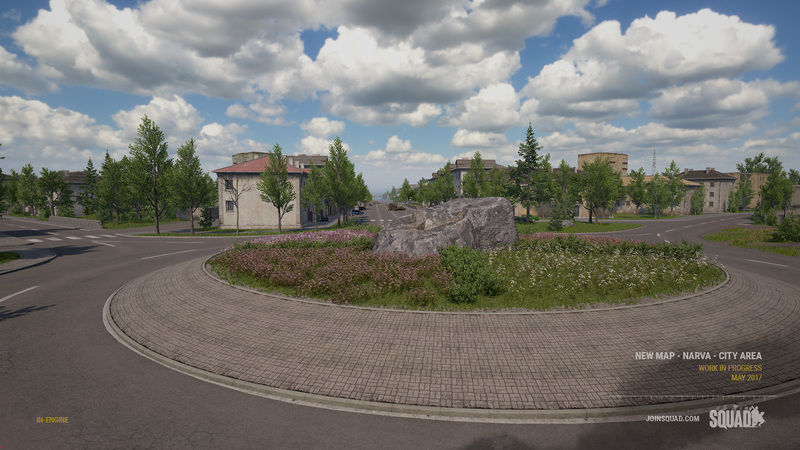 Everyone has been hard at work getting new maps, art assets, animations, and a plethora of other items.So, how about we just show you some of the stuff we have been working on since we last did our recap back in January! 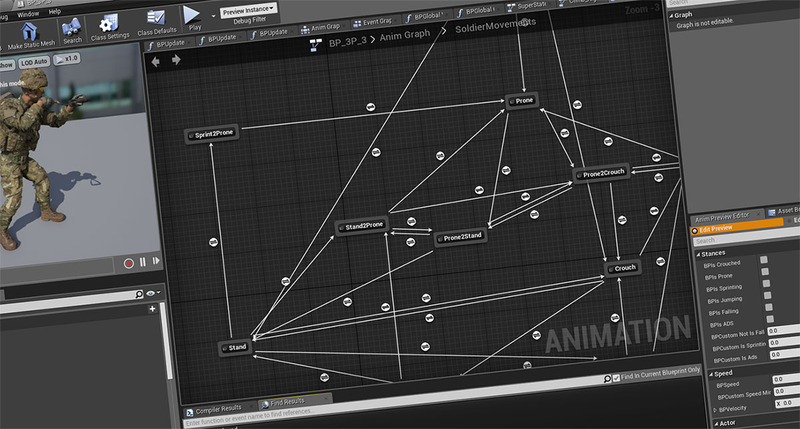 Beginning this month, work is well underway taking the new Animation System from the prototype stage to actual implementation. Prior to this we’ve been experimenting and producing all new animation assets that conform to the requirements set by this new system, in order to produce a far more streamlined, dynamic system for players, artists and future modders. 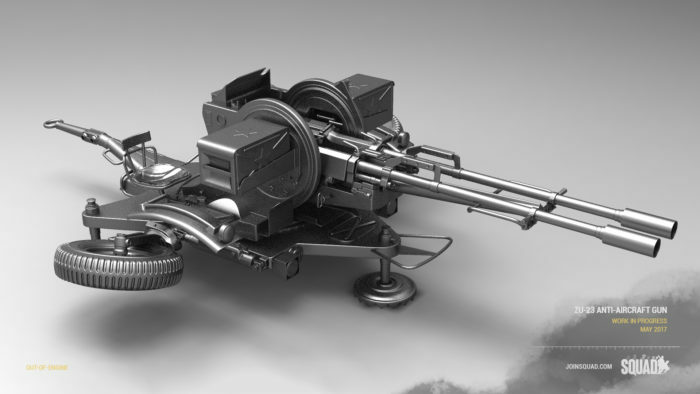 As a consequence of such a major overhaul, all the animations relating to weapons and vehicles needed to be overhauled (in essence ‘re-animated’). Here’s a little taste of what to expect. Bipods are a highly requested feature from the Community that we’re working on. 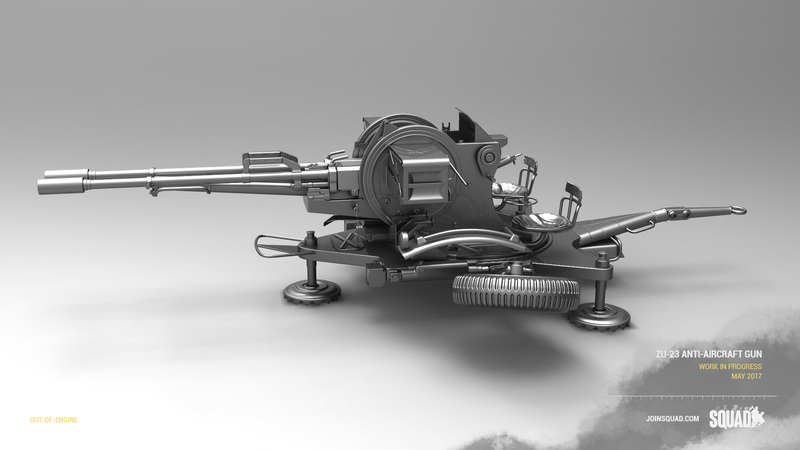 Our aim for this first iteration is to have a way for Light Machine Guns to deploy onto any surface dynamically, and have the player swivel around a pivot point. 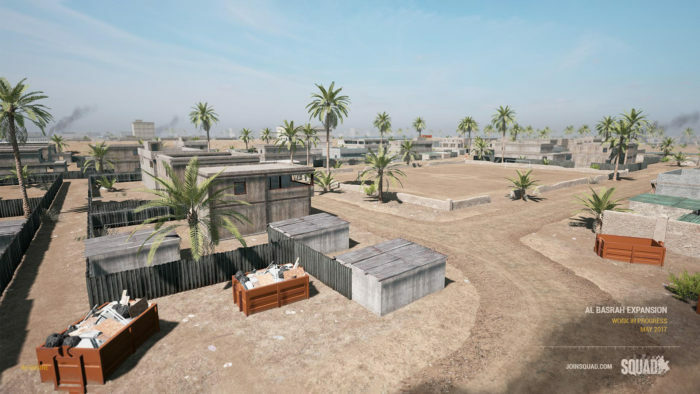 This will dramatically increase the number of firing positions Automatic Riflemen will be able to have, as well as enjoying faster reload times while deployed. 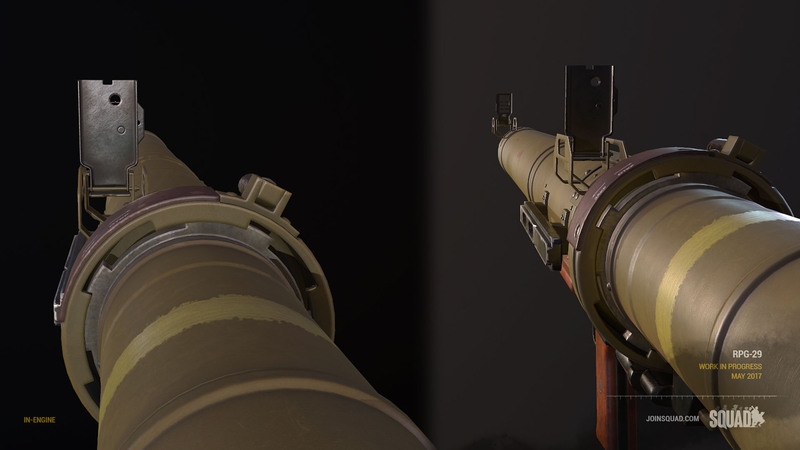 In addition Free-Look will tie in seamlessly with this system, allowing gunners far more situational awareness than otherwise if your view was locked. Another feature that has come from creative experimenting has been melee. Our approach is going to be very simple, binding the attack to a single key press. Big bonus of this is that your shovels will also double as killing implements, allowing you to have those shovel wars you’ve been wanting for so long! Zeroing is another feature we’re working on, where the player has the ability to set the range at which their weapon’s sights are aligned to. 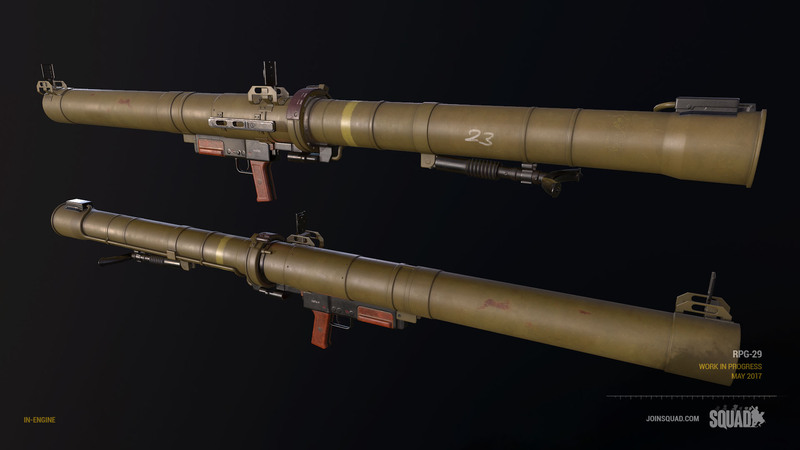 The PPSH-41 has flip sight with two range settings, and was perfect for showing off this system. We’re still a ways off, but the wheels are still turning! Work has begun in earnest on one of our first helicopters, the UH-60M Blackhawk for the US Army. With a carrying capacity of 14 passengers and 1 pilot (11 dismounts + 4 crew, depending on how you look at it), this craft has the ability to ferry troops and supplies around the battlefield extremely quickly. It is still very early days regarding helicopters, but stay tuned for more updates down the line. 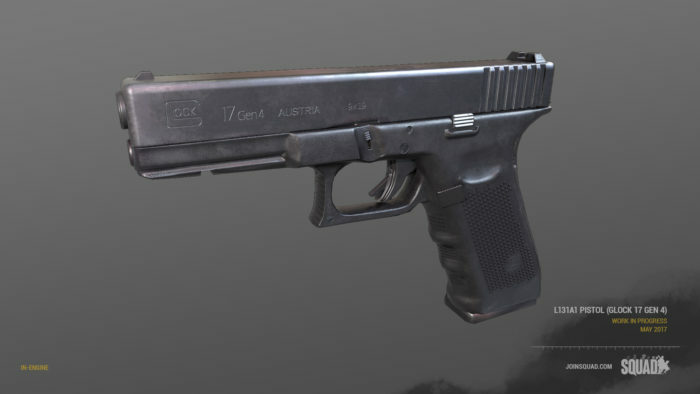 The standard sidearm of the British Armed Forces as of early 2013, the Glock 17 Gen 4 (official designation L131A1) is an Austrian-made sidearm known for being reliable, light and easy to carry. Firing the 9mm Parabellum round with a magazine capacity of 17 rounds, it’s one of the higher capacity sidearms going into the game. 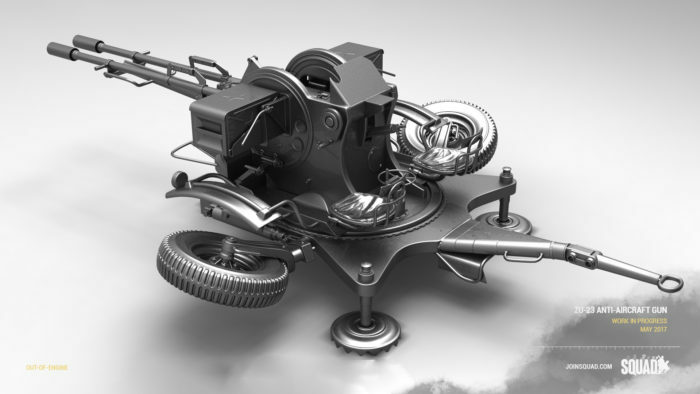 A twin-barreled fully 360 degree traversable gun platform chambered in 23mm, this weapon can put out an immense amount of damage very quickly, suitable for shooting down slower aircraft or shredding light armour. A modern take on the older ZPU family of Anti-Aircraft guns, it typically is either configured as an emplacement, mounted onto armoured vehicles, or on the back of flatbed trucks or pickups. 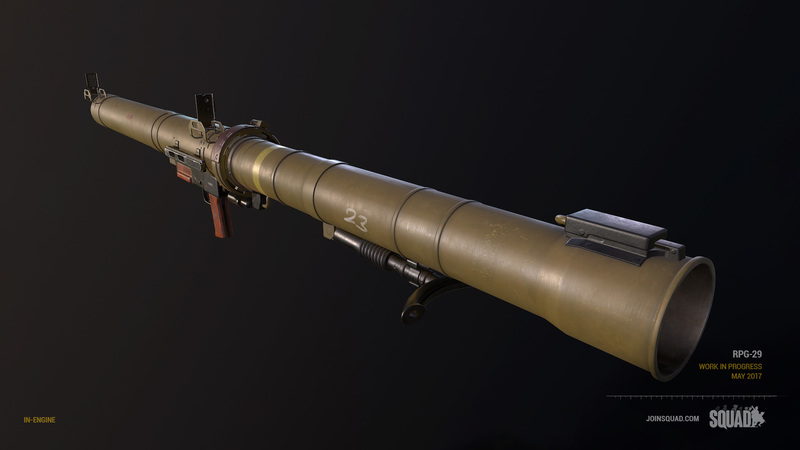 The RPG-29 is a Russian made and exported dumb-fire rocket propelled grenade launcher. Firing a 105mm Tandem warhead similar to RPG-7 ingame, it is designed to defeat the toughest of modern armour at short to medium ranges going out to 500m. 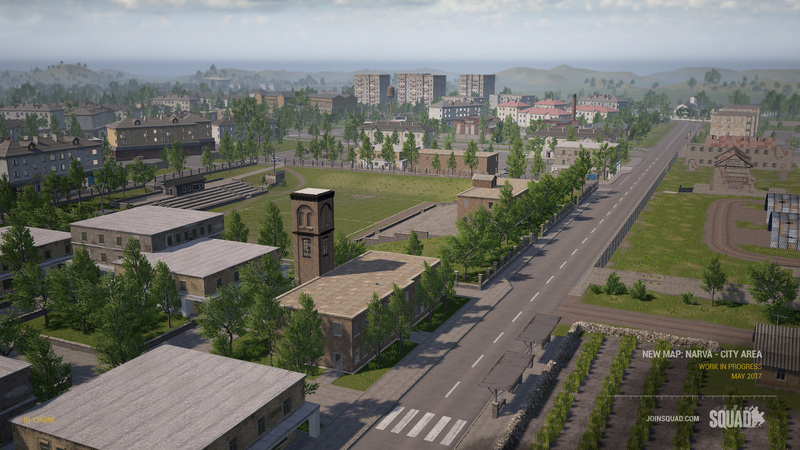 Our urban Eastern European map is coming along really well. The bulk of the playable area is almost complete and the hope is to have Narva Version 1 to the testers in the next few weeks. 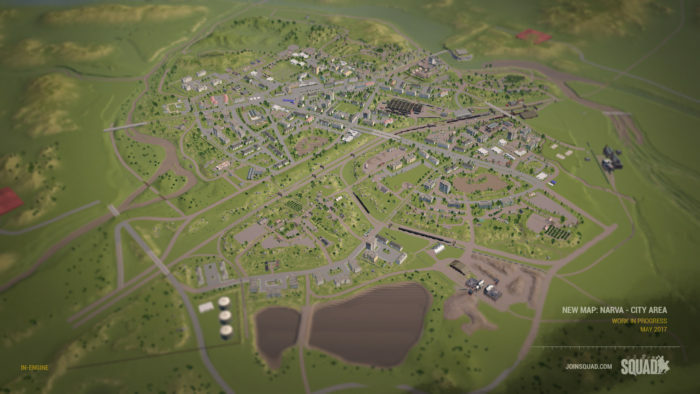 Players can expect a mix of urban residential, commercial, and industrial areas all blended into a map that should cater to a variety of play styles. As with its real world counterpart, Narva will feature a historic castle, a dense train yard, multi-story residential buildings, tree-lined streets, and the overall feel that is unmistakably Eastern European. Al Basrah has been received unbelievably well since its release! 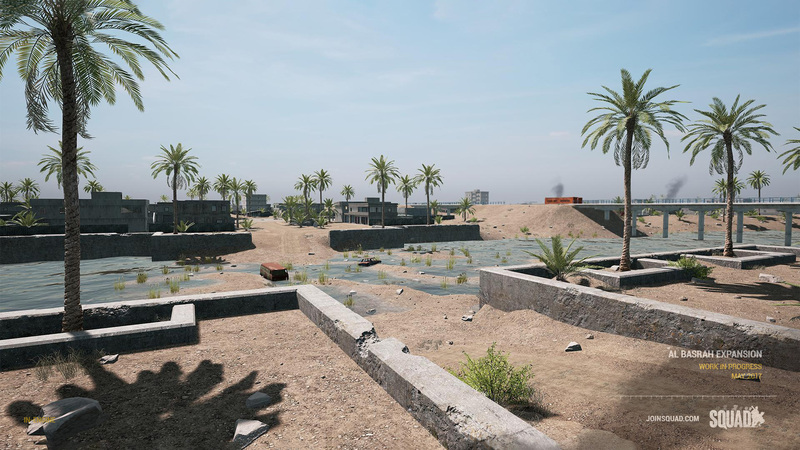 After taking into account feedback from the community, we are making some gameplay adjustments involving relocation of the Insurgent and US Mains, as well as completely expanding the south end of the city. The US main has been relocated slightly north of its current position to extend travel time as well. With these newly expanded areas new flag layouts will follow, along with the highly anticipated Insurgency gamemode. 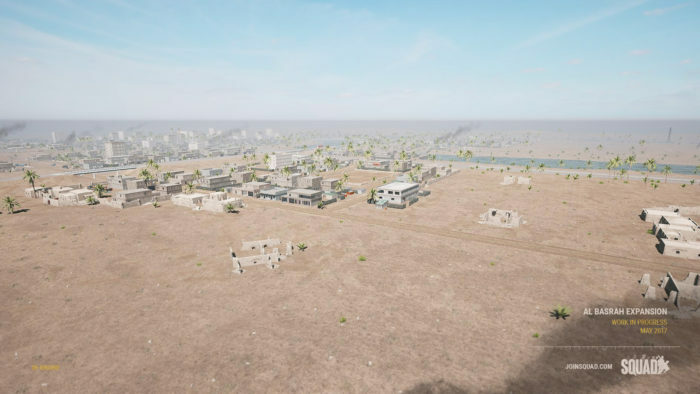 And this is just our first step into expanding Al Basrah! Phew, that is some amazing stuff the team is working on. I hope all of you are as excited about all of the fantastic things we are currently working as we are! We cannot wait to get this done and out to the public. Expect more in the coming months because we are not done yet showing off all of the amazing things we are doing.